Low batteries can be inconvenient, and sometimes even nerve-wracking. It's no fun running late to work because of a dead battery, but it can also be scary when you're at a gas station late at night and have to ask a stranger for a jump. That's why, here at Genesis of North Atlanta, we proudly sell Genesis-certified and name-brand batteries. Keep reading to learn more about why you should choose only the highest-quality batteries for your vehicle. When it gets colder outside, your engine needs more battery power to start up. A generic, run-of-the-mill replacement battery often won't give you the power necessary to do this, while a name-brand battery usually will. Today's vehicles tend to drain their batteries even when they're turned off because of technology like security systems. Although these systems don't drain the battery a lot, they can wear down an already weak battery when left parked for a long time. A name-brand battery often handles drain better than a generic one would. 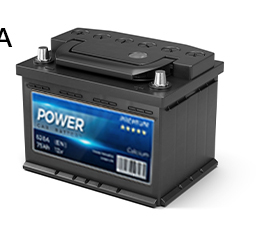 Because name-brand batteries usually come with warranties, you can trust that they'll get you from point A to point B more reliably than a generic battery would. You'll deal with fewer late nights stuck at the gas station and more time out on the road, not even worried about your battery. If you’d like to purchase a Genesis-certified battery in Kennesaw, GA, drop by Genesis of North Atlanta at 2878 Barrett Lakes Blvd Nw, Kennesaw, GA 30144 or schedule your service online. We look forward to serving our customers from Marietta, Acworth and the Greater Atlanta Area!